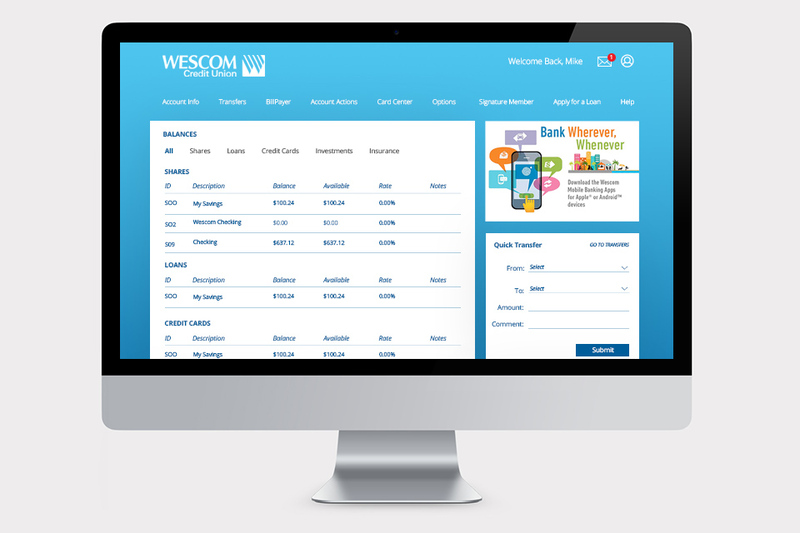 With tens of thousands of active users on their online banking platform, Wescom Credit Union reached out to ArtVersion for their need of user interface and user experience design, analyses and visual enhancements. Data accuracy and accessibility of information was crucial in assembly, leaving no room for errors or mishaps. With proven precision and industry-known design processes in place this task was eagerly received by our UI/UX team. 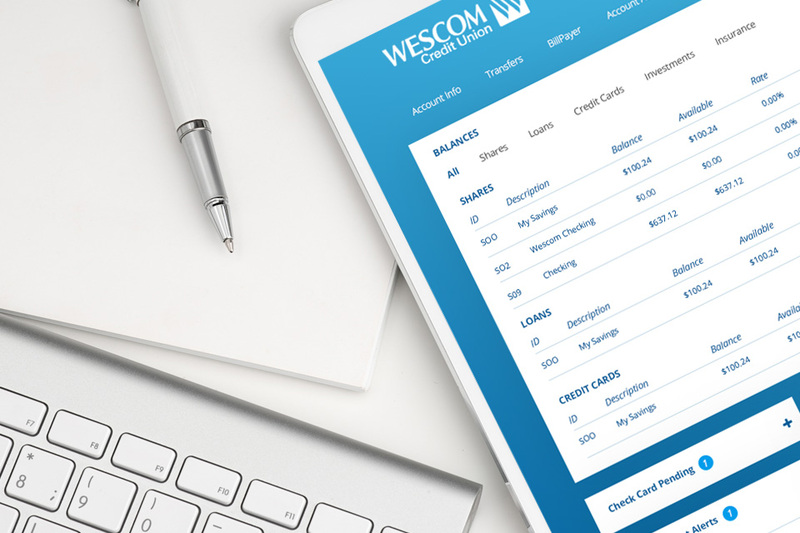 While Wescom financial and online banking application is robust, it tested as cumbersome and somewhat inconsistent in between mobile and desktop dashboards. The main objective for the project was to create a highly customized and personal experience by preserving inherent data architecture and further expand on visual aspects by designing components to support and promote todays best-practices and proven solutions. The measure of UI simplicity is when users can go through the process on their own, without ambiguity and without extensive use of help files and prompt wizards, with as few clicks or finger taps as possible. The ArtVersion user interface team worked with internal UI/UX personnel to develop a new interface for implementation and incremental rollout in a contextual design manner. 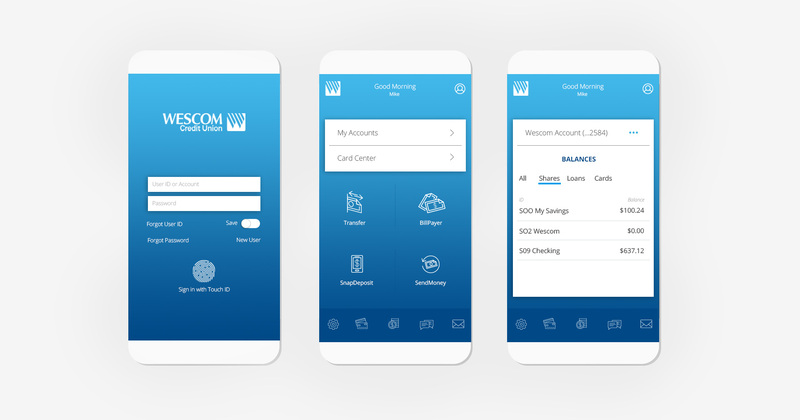 The team was tasked with simultaneously working on designing the desktop interface and user experience whole intuitively merging in a more consistent mobile user experience. Among the intensive analyses of user journeys and persona discoveries, the ArtVersion team developed a simple yet comprehensive user interface to facilitate users with a single account, multiple checking accounts, personal and business saving accounts and any possible combination for commercial and personal banking for finance management. 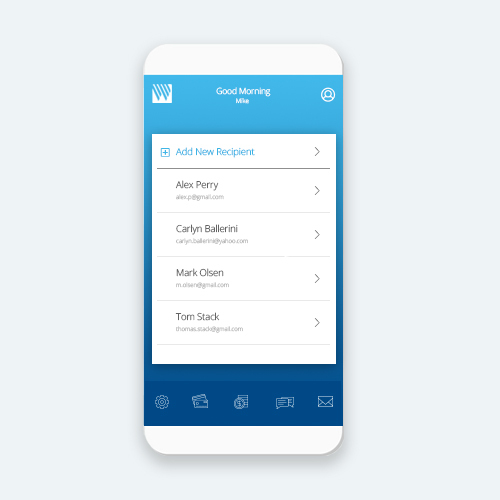 Personable interface backgrounds and splash-screens with location and timely intuitive triggers are incorporated among the approachable, connective and engaging messaging and user prompts. Custom UI elements are consistently pushed across both mobile and desktop experiences and user pathways to form a unified UX system. Combined visual systems are adapted seamlessly by both app development and desktop coding departments as a result of documentation and collaborative efforts conducted by the ArtVersion team. 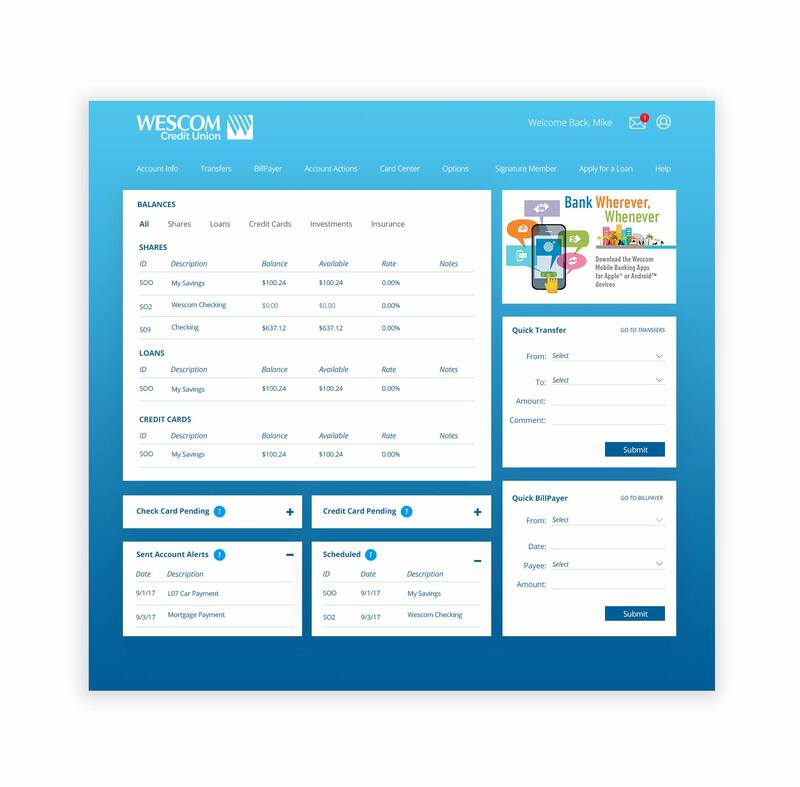 Working closely with Wescom, ArtVersion sucessfully reduced the number of steps for each activity without losing any necessary functionality. User feedback has been extremely positive on the new UI/UX approach that was contributed by preserving established user pathways and flows, refining and enhancing user journeys and careful consideration and research of user personas and use cases.